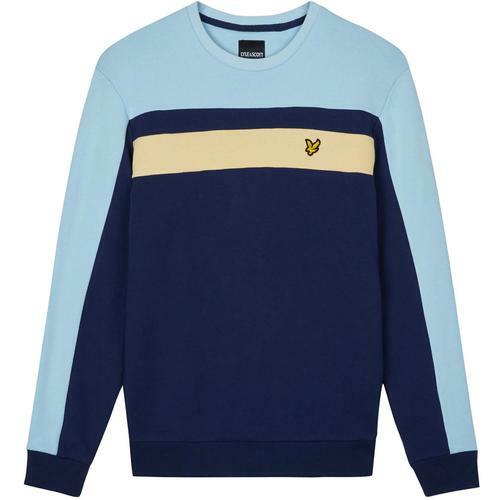 Lyle & Scott Retro Indie Stripe sweatshirt in navy. 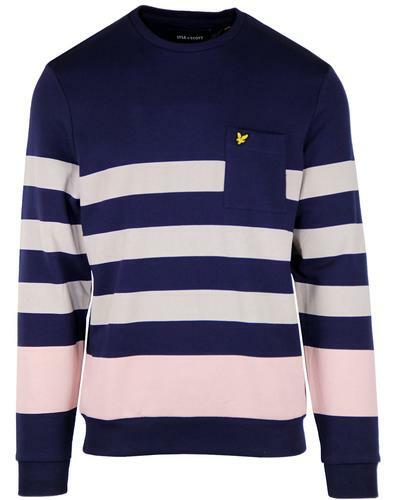 A bold take on th classic sweatshirt. Featuring three light brown stripes, interrupted by a patch pocket to chest and followed by a thicker pink stripe. 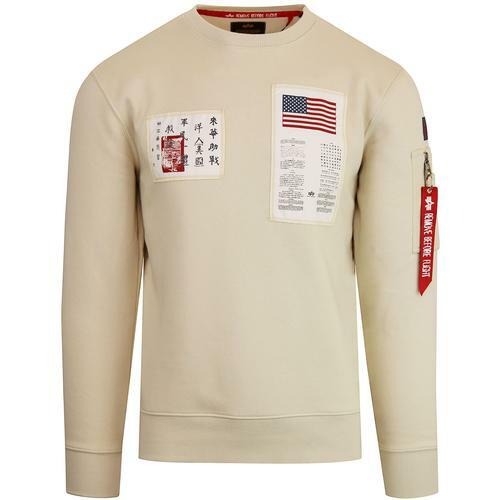 Ribbed crew neck, cuffs and hem follow the typical sweatshirt design. Signature Eagle emblem to chest finishes this stunning Retro statement piece, perfect for the transitional spring/summer period. 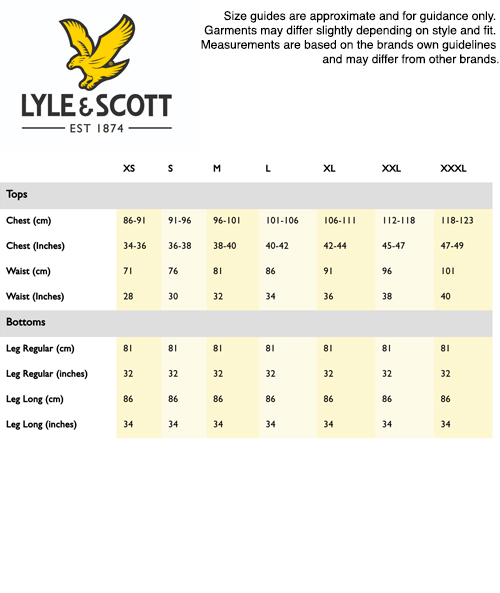 - Ribbed collar, hem and cuffs. - Chest pocket with eagle emblem.